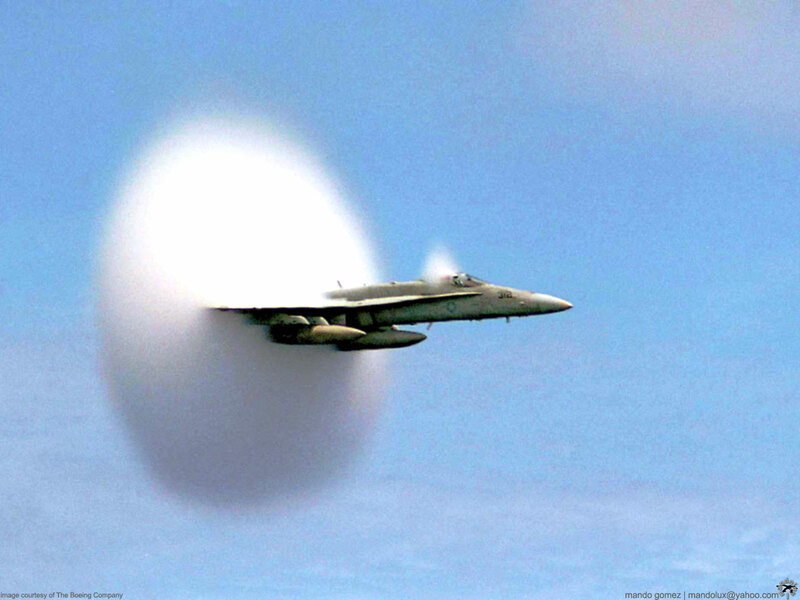 \r\nIt actually catches a Navy F-18 (I believe they call them Hornets) at the very split-second it penetrates the sound barrier! Rather amazing really. \r\nI wonder how this might shed some light on tales of UFOs appearing out of strange cloud formations? What wall might they be coming through? Awesome! My son loved it too! \nIt\'s 2 weeks before Christmas Eve and I\'m stuck at home on a Friday night more than a little bored. I thought, for "kicks and giggles" (whatever that means), I might post some You-Tubes that the denizens of fogpog might enjoy (maybe, maybe not). \nThe best pitch I ever saw was about 20-25 years ago when I wandered into a favorite "watering hole" to relax and watch a little baseball. There was an on-going feud of modest proportions with the afternoon bar-keep at this particular establishment who preferred "professional wrestling" while his patrons desired some quality baseball. On this day that I wandered in he announced proudly (no doubt seeking approval): "Hey look, I have a baseball game on for you guys!" I looked up (only to see the White Sox jousting with an equally uninteresting opponent). "Thanks, but no thanks", I replied, "We prefer Major League baseball". \nWell my eyes were on the TV and by good fortune I saw a spectacular pitch. As I said the best single pitch I\'ve ever seen in my life. "Black" Jack McDowell (remember him) was on the mound for the Sux and it was such that the camera angle was over his right shoulder in such a manner that we viewers saw the path of the pitched ball from directly behind: a wonderful view. Black Jack threw a fastball that looked like it was rolling and bouncing down an 8 inch plastic pipe. It swirled and bobbed and I tell you nobody - nobody - south of God could have hit that pitch. \nLOL I\'m still trying to figue out if that was intentional! As I mentioned asian baseball can get quite crazy. They play some quality baseball over there but not quite as good as the original: good ole home grown American baseball. \r\nThey certainly know how to do it right! As the announcers said: "Ha Ha Ha" ! Anyone love optical illusions ? SkullKey certainly does. Another Friday - Skull\'s bored again. I love You-Tube, as well, Skull! It actually catches a Navy F-18 (I believe they call them Hornets) at the very split-second it penetrates the sound barrier! Rather amazing really. I wonder how this might shed some light on tales of UFOs appearing out of strange cloud formations? What wall might they be coming through?